This article is about the area in London. For other uses, see Pimlico (disambiguation). Pimlico /ˈpɪmlɪkoʊ/ is a small area within Central London in the City of Westminster. Like Belgravia, next to which it was built as a southern extension, Pimlico is known for its garden squares and Regency architecture. The area is separated from Belgravia to the north by Victoria Railway Station, and bounded by the River Thames to the south, Vauxhall Bridge Road to the east and the former Grosvenor Canal to the west. At Pimlico's heart is a grid of residential streets laid down by the planner Thomas Cubitt beginning in 1825, and now protected as the Pimlico Conservation Area. Pimlico is also home to the pre-World War II Dolphin Square development and the pioneering Churchill Gardens and Lillington and Longmoore Gardens estates, now designated conservation areas in their own right. 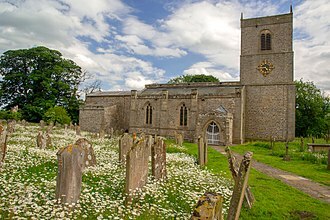 The area has over 350 Grade II listed buildings and several Grade II* listed churches. 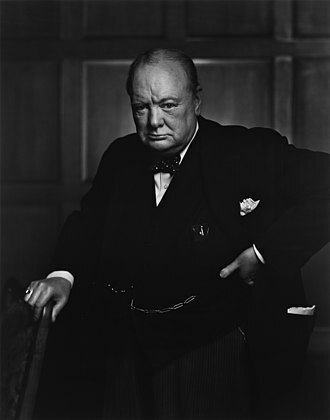 Notable residents have included politician Winston Churchill, designer Laura Ashley, philosopher Swami Vivekananda, actor Laurence Olivier, illustrator and author Aubrey Beardsley, first Kenyan president Jomo Kenyatta, the inventor of lawn tennis Major Walter Wingfield and world record holding pilot Sheila Scott. In the sixteenth and seventeenth centuries, the Manor of Ebury was divided up and leased by the Crown to servants or favourites. 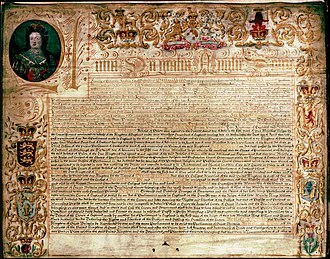 In 1623, James I sold the freehold of Ebury for £1,151 and 15 shillings. 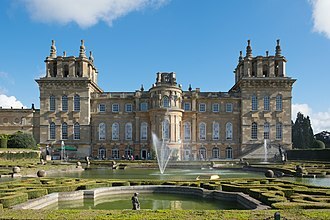 The land was sold on several more times, until it came into the hands of heiress Mary Davies in 1666. Mary's dowry not only included "The Five Fields" of modern-day Pimlico and Belgravia, but also most of what is now Mayfair and Knightsbridge. Understandably, she was much pursued but in 1677, at the age of twelve, married Sir Thomas Grosvenor. 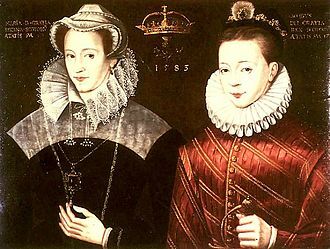 The Grosvenors were a family of Norman descent long seated at Eaton Hall in Cheshire who, until this auspicious marriage, were but of local consequence in their native county of Cheshire. Through the development and good management of this land the Grosvenors acquired enormous wealth. At some point in the late seventeenth or early eighteenth century, the area ceased to be known as Ebury or "The Five Fields" and gained the name by which it is now known. While its origins are disputed, it is "clearly of foreign derivation.... Gifford, in a note in his edition of Ben Jonson, tells us that 'Pimlico is sometimes spoken of as a person, and may not improbably have been the master of a house once famous for ale of a particular description." Supporting this etymology, Rev. Brewer describes the area as "a district of public gardens much frequented on holidays. According to tradition, it received its name from Ben Pimlico, famous for his nut-brown ale. His tea-gardens, however, were near Hoxton, and the road to them was termed Pimlico Path, so that what is now called Pimlico was so named from the popularity of the Hoxton resort". H.G. Wells, in his novel The Dream, says that there was a wharf at Pimlico where ships from America docked and that the word Pimlico came with the trade and was the last word left alive of the Algonquin Indian language (Pamlico). By the nineteenth century, and as a result of an increase in demand for property in the previously unfashionable West End of London following the Great Plague of London and the Great Fire of London, Pimlico had become ripe for development. In 1825, Thomas Cubitt was contracted by Lord Grosvenor to develop Pimlico. The land up to this time had been marshy but was reclaimed using soil excavated during the construction of St Katharine Docks. Cubitt developed Pimlico as a grid of handsome white stucco terraces. The largest and most opulent houses were built along St George's Drive and Belgrave Road, the two principal streets, and Eccleston, Warwick and St George's Squares. Lupus Street contained similarly grand houses, as well as shops and, until the early twentieth century, a hospital for women and children. Smaller-scale properties, typically of three storeys, line the side streets. An 1877 newspaper article described Pimlico as "genteel, sacred to professional men… not rich enough to luxuriate in Belgravia proper, but rich enough to live in private houses." Its inhabitants were "more lively than in Kensington… and yet a cut above Chelsea, which is only commercial." Although the area was dominated by the well-to-do middle and upper-middle classes as late as Booth's 1889 Map of London Poverty, parts of Pimlico are said to have declined significantly by the 1890s. When Rev Gerald Olivier moved to the neighbourhood in 1912 with his family, including the young Laurence Olivier, to minister to the parishioners of St Saviour, it was part of a venture to west London "slums" that had previously taken the family to the depths of Notting Hill. Through the late nineteenth century, Pimlico saw the construction of several Peabody Estates, charitable housing projects designed to provide affordable, quality homes. Proximity to the Houses of Parliament made Pimlico a centre of political activity. Prior to 1928, the Labour Party and Trades Union Congress shared offices on Eccleston Square, and it was here in 1926 that the general strike was organised. In the mid-1930s Pimlico saw a second wave of development with the construction of Dolphin Square, a self-contained "city" of 1250 up-market flats built on the site formerly occupied by Cubitt's building works. Completed in 1937, it quickly became popular with MPs and public servants. 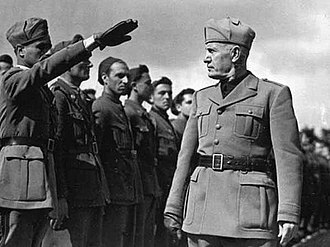 It was home to fascist Oswald Mosley until his arrest in 1940, and the headquarters of the Free French for much of the Second World War. 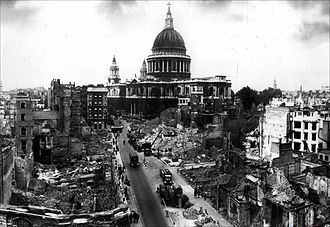 Pimlico survived the war with its essential character intact, although parts sustained significant bomb damage. Through the 1950s these areas were the focus of large-scale redevelopment as the Churchill Gardens and Lillington and Longmoore Gardens estates, and many of the larger Victorian houses were converted to hotels and other uses. To provide affordable and efficient heating to the residents of the new post-war developments, Pimlico became one of the few places in the UK to have a district heating system installed. District heating became popular after World War II to heat the large residential estates that replaced areas devastated by the Blitz. The Pimlico District Heating Undertaking (PDHU) is just north of the River Thames. The PDHU first became operational in 1950 and continues to expand to this day. The PDHU once relied on waste heat from the now-disused Battersea Power Station on the South side of the River Thames. It is still in operation, the water now being heated locally by a new energy centre which incorporates 3.1 MWe /4.0 MWTh of gas-fired CHP engines and 3 × 8 MW gas-fired boilers. In 1953, the Second Duke of Westminster sold the part of the Grosvenor estate on which Pimlico is built. In 1970 Roger Byron-Collins, a partner at Mullett Booker Estate Agents in Albion Street on the Hyde Park Estate was instrumental in the sale and purchase of the Pimlico Estate covering 27 acres in Victoria, including 480 homes for the owners CR Developments for £4.4 million. The purchasers being Jack Dellal of the Dalton Barton Bank and Peter Crane of City and Municipal Properties part of a consortium in the Hanson Trust. Byron-Collins was introduced to the Pimlico Estates' joint owners Lord Ashcombe, the chairman of Holland, Hannen and Cubitt who was in partnership with Harry Reynolds of Reynolds Engineering by Colin Tennant Lord Glenconner and his partner The Hon Brian Alexander of the Mustique Company. Pimlico was connected to the underground in 1972 as a late addition to the Victoria line. Following the designation of a conservation area in 1968 (extended in 1973 and again in 1990), the area has seen extensive regeneration. Successive waves of development have given Pimlico an interesting social mix, combining exclusive restaurants and residences with Westminster City Council-run facilities. Dolphin Square is a block of private apartments built between 1935 and 1937. At the time of their construction the development was billed as the largest self-contained block of flats in Europe. It is home to many Members of Parliament. Churchill Gardens is a large housing estate covering the south-west corner of Pimlico. It was developed between 1946 and 1962 to a design by the architects Powell and Moya, replacing docks, industrial works, and several Cubitt terraces damaged in the Blitz. On Buckingham Palace Road is the former "Empire Terminal" of Imperial Airways, a striking Art Moderne building designed in 1938 by architect Albert Lakeman. Mail, freight and passengers were transported from the terminal to Southampton via rail before transferring to flying boats. The building now serves as the headquarters of the National Audit Office. The area contains a number of attractive Anglican churches, most constructed at the time the neighbourhood was laid down. Among them are St Gabriel's, St Saviour and St James the Less. From its founding St Peter's, Eaton Square, Pimlico was usually recorded as St Peter's, Pimlico (at least prior to 1878). The area's Catholic church, Holy Apostles, was destroyed in the Blitz and rebuilt in 1957. The headquarters of the Catholic Bishops' Conference of England and Wales are located in Eccleston Square. Tate Britain is located within the ward of Millbank, but is a short walk from Pimlico underground station and is regarded as a Pimlico landmark. The district's association with fine art has been reinforced by the Chelsea College of Art and Design's recent move to the former Royal Army Medical College next to the Tate. Pimlico School, a comprehensive built between 1967 and 1970, was a notable example of Brutalist architecture. 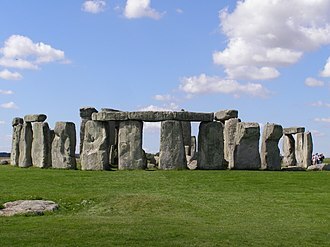 It was demolished in 2010. Catherine Johnson, creator of the musical Mamma Mia! Lucy Bethia Walford, Scottish-born novelist, died on 11 May 1915 – 17 Warwick Square. Pimlico is the setting of the 1940 version of Gaslight. Post-World War II, Pimlico was the setting of the Ealing comedy Passport To Pimlico. In G. K. Chesterton's Orthodoxy, Pimlico is used as an example of "a desperate thing." 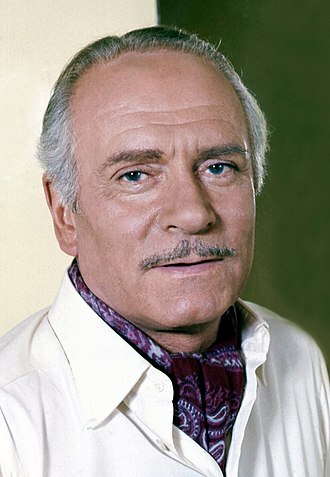 Arguing that things are not loved because they are great but become great because they are loved, he asserts that if merely approved of, Pimlico "will remain Pimlico, which would be awful," but if "loved with a transcendental tie and without any earthly reason" it "in a year or two might be fairer than Florence." 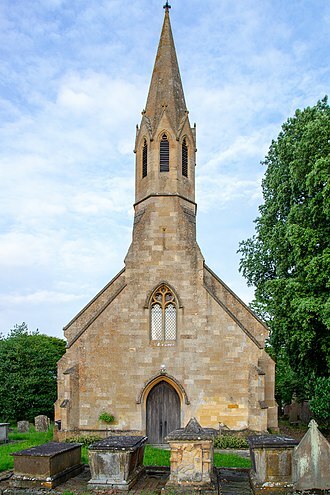 Barbara Pym used St Gabriel's Church as her inspiration for St Mary's in Excellent Women. The area is the home of Francis Urquhart in Michael Dobbs's 1989 novel, House of Cards. Alexander McCall Smith's on-line Daily Telegraph serial novel Corduroy Mansions is set in Pimlico. For education in Pimlico, see List of schools in the City of Westminster. Pimlico is served by Pimlico station on the Victoria line and Victoria station on the Victoria, District and Circle lines. It is also served by National Rail services to London Victoria Station. Bus routes that run centrally through Pimlico are the 24, 360 and the C10. Many more buses run along Vauxhall Bridge Road to the East of Pimlico. Riverboat services to Waterloo and Southwark run from Millbank Millennium Pier. The area has a dozen docking stations for the Santander Cycles scheme. Pimlico would be connected at Victoria to the proposed Chelsea-Hackney line (Crossrail 2). Plans under consideration for the redevelopment of Nine Elms and Battersea Power Station include a pedestrian bridge stretching across the river from St George's Square; in 2015, Wandsworth council awarded Bystrup and partners the design for the £40m bridge, with spiral ramps preserving parks at both ends. The area is represented on Westminster City Council by the wards of Churchill, Tachbrook, Vincent Square and Warwick. These all form part of the Cities of London and Westminster parliamentary constituency, currently represented by MP Mark Field, a Conservative. Of the twelve local councillors, two are Labour and ten are Conservative, including current council leader Nickie Aiken, who represents Warwick. Pimlico is part of the West Central constituency on the London Assembly, which is represented by Tony Devenish AM. ^ "London's Places" (PDF). London Plan. Greater London Authority. 2011. p. 46. Archived (PDF) from the original on 6 September 2015. Retrieved 27 May 2014. ^ 'Pimlico', Old and New London Archived 3 September 2014 at the Wayback Machine: Volume 5 (1878), pp. 39–49. ^ Rev. E. Cobham Brewer, Brewer's Dictionary of Phrase and Fable Archived 8 September 2015 at the Wayback Machine, 1898 edn. ^ "110mb.com – Want to start a website?". 110mb.com. ^ "Pimlico design guide" (PDF). westminster.gov.uk. Archived (PDF) from the original on 3 March 2016. ^ "50swe910.html". umich.edu. Archived from the original on 12 May 2008. ^ "Lord Ashcombe – obituary". 25 December 2013 – via www.telegraph.co.uk. ^ "Imperial Airways Empire Terminal". Taylor Empire Airways. Archived from the original on 10 September 2015. 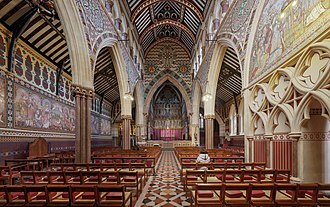 ^ "St. Peter's Church in Pimlico London". Archived from the original on 5 March 2016. ^ "Please wait..." Archived from the original on 26 November 2015. ^ Hunt, Timothy (2004). 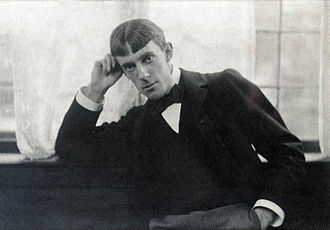 "Macmillan, Douglas (1884–1969)". Oxford Dictionary of National Biography. Oxford, England: Oxford University Press. ^ Vale, Allison (18 January 2018). A Woman Lived Here: Alternative Blue Plaques, Remembering London's Remarkable Women. Little, Brown Book Group. ISBN 9781472140067. Archived from the original on 8 March 2018. ^ "LeonardRossiter.com: Rigby Online – Supporting Cast Biographies". leonardrossiter.com. Archived from the original on 22 May 2015. ^ "- Person Page 10949". thepeerage.com. Archived from the original on 16 April 2015. ^ "Hughes, Arthur Foord". Friends of Hastings Cemetery. Archived from the original on 5 March 2016. Retrieved 4 January 2016. ^ "Bram Stoker: A Brief Biography". Archived from the original on 26 April 2015. ^ Wheatley, Henry B.; Peter Cunningham (1891). London, Past and Present: Its History, Associations, and Traditions. Albemarle Street, London: John Murray. p. 152. ^ Oliver Wainwright. "Public fury as new bridge across the Thames announced at Nine Elms". the Guardian. Archived from the original on 27 May 2016. ^ "Vauxhall Nine Elms Battersea Opportunity Area Planning Framework Consultation Draft November 2009" (PDF). Greater London Authority. November 2009. Archived from the original (PDF) on 17 August 2012. Retrieved 29 September 2015. Wikimedia Commons has media related to Pimlico, Streets in the City of Westminster and Thomas Cubitt. Mayfair is an affluent area in the West End of London towards the east edge of Hyde Park, in the City of Westminster, between Oxford Street, Regent Street and Park Lane. It is one of the most expensive districts in London and the world, the area around Mayfair was originally part of the manor of Eia and remained largely rural in nature until the early 18th century. It became well known for the annual May Fair that took place from 1686 to 1764 in what is now Shepherd Market, the fair attracted an unpleasant, downmarket element and gradually became a public nuisance. 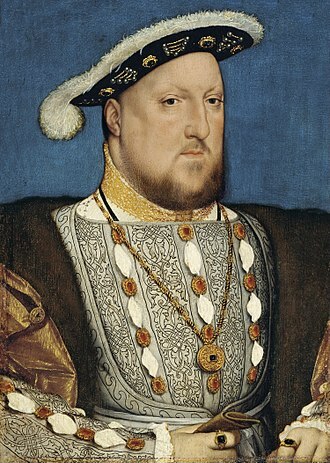 The Grosvenor family, to become the Dukes of Westminster, acquired land through marriage, the work included three major squares – Hanover Square, Berkeley Square and Grosvenor Square, all of which were surrounded by luxury homes, and the church of St George Hanover Square. By the end of the 18th century, most of Mayfair was built on with prestigious housing to suit the upper class, unlike some nearby areas of London, it has never lost its affluent status. There remains a substantial quantity of luxury property, upmarket shops and restaurants. Mayfairs prestigious status has been commemorated by being the most expensive property square on the London Monopoly board. The Mayfair area is in the London Borough of Westminster and mainly consists of the estate of Grosvenor, along with the estates of Albemarle, Burlington. It is bordered on the west by Park Lane, north by Oxford Street, east by Regent Street, beyond the bounding roads, to the north is Marylebone, to the east, Soho and to the southwest and Belgravia. Mayfair is surrounded by parkland, both Hyde Park and Green Park run along its boundary, the 8-acre Grosvenor Square is roughly in the centre of Mayfair, and is the centrepiece of the area, containing numerous expensive and desirable properties. 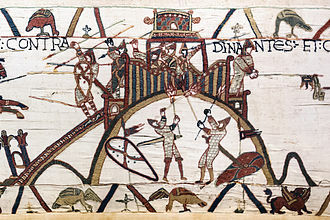 There has been speculation that the Romans settled in the area before establishing Londinium, the proposal has been disputed owing to lack of archaeological evidence. 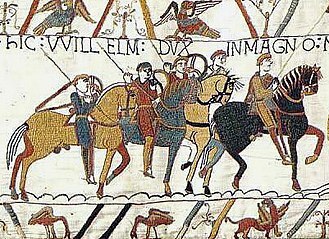 This area was known as the manor of Eia in the Domesday Book and it was subsequently given to the Abbey of Westminster, who owned it until 1536 when it was taken over by Henry VIII. The fire services in the United Kingdom operate under separate legislative and administrative arrangements in England and Wales, Northern Ireland, and Scotland. 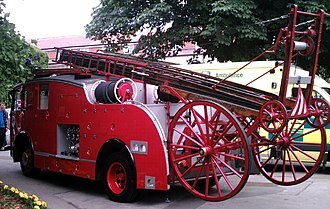 Emergency cover is provided by over fifty fire and rescue services, many FRS were previously known as brigades or county fire services, but almost all now use the standard terminology. 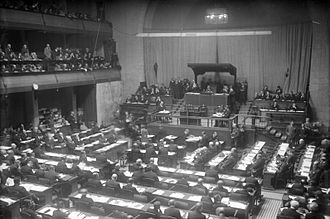 They are distinct from and governed by an authority, which is the legislative and administrative body. Fire authorities in England and Wales, and therefore fire and rescue services and Northern Ireland have centralised fire and rescue services, and so their authorities are effectively committees of the devolved parliaments. The total budget for services in 2014-15 was £2.9 billion. The devolved government in Scotland has an agency, HMFSI Scotland. This Act provided for centralised co-ordination of fire brigades in Great Britain,1947, Fire Services Act 1947 This Act transferred the functions of the National Fire Service to local authorities. Now repealed entirely in England and Wales by Schedule 2 of the Fire,1959, Fire Services Act 1959 This Act amended the 1947 Act, it dealt with pensions, staffing arrangements and provision of services by other authorities. It was repealed in England and Wales along with the 1947 Act,1999, Greater London Authority Act 1999 This act was necessary to allow for the formation of the Greater London Authority and in turn the London Fire and Emergency Planning Authority. In 2002, there was a series of fire strikes. In December 2002, the Independent Review of the Fire Service was published with the action still ongoing. Bains report ultimately led to a change in the relating to firefighting. 2002, Independent Review of the Fire Service published 2004, Fire and Rescue Services Act 2004, generally only applying to England and it came into force on 1 October 2006. The DfCLG has published a set of guides for non-domestic premises,2006, The Government of Wales Act 2006 gave the National Assembly for Wales powers to pass laws on Fire, promotion of fire safety otherwise than by prohibition or regulation. But does not prevent future legislation being passed by the UK government which applies to two or more constituent countries, There are further plans to modernise the fire service according to the Local Government Association. Millbank is an area of central London in the City of Westminster. Millbank is located by the River Thames, east of Pimlico, Millbank is known as the location of major government offices, the Millbank Tower and prominent art institutions such as Tate Britain and the Chelsea College of Art and Design. The area derives its name from a watermill owned by Westminster Abbey that once stood at a close to present day College Green. Described as a place of plague pits and a low, marshy locality suitable for shooting snipe in the nearby bogs, facilities at the prison camp on the marshy ground were so poor that 1,200 prisoners were recorded as having died in the primitive conditions. Baltic Wharf, a site just to the north of Vauxhall Bridge, was for much of the 19th century the location of a Henry Castle & Son, a ship breaking and timber merchant. Numerous wooden ships of the line of the Royal Navy were dismantled at this location, their ornate figureheads often displayed on the gates and perimeter of the yard walls. Millbank shares the name of the road along the north bank of the River Thames, extending northwards from Vauxhall Bridge to Abingdon Street. There are parliamentary offices situated across this road, notably No.7, the road was created as part of the Thames Embankment in the mid 19th century and lies above a large interceptor sewer. The listed site has since been renovated as a purpose built arts college for the Chelsea College of Art, the Tate Britain art gallery is directly opposite near the end of Vauxhall Bridge, providing a distinct arts presence in the area. The headquarters of the British chemicals giant ICI was originally located at Imperial Chemical House on Millbank before it relocated to Manchester Square, the headquarters for the Northern Ireland Office, MI5 and Thames House are nearby. On 18 December 1973, the Provisional Irish Republican Army exploded a bomb on Thorney Street at 8, the bomb resulted in over 50 people injured, including two seriously. Millbank Studios reside in the area as an independent broadcast company, the studio is situated opposite the Houses of Parliament. 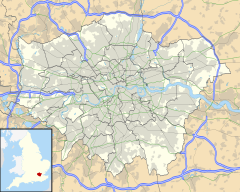 The London Inner Ring Road is a 12-mile route formed from a number of major roads that encircle Central London. The ring road forms the boundary of the London congestion charge zone, the route is described as the Inner Ring Road because there are two further sets of roads that have been described as London ring roads. The North and South Circular Roads together form the ring road around London. The M25 motorway is the outermost road encircling the metropolis, at a diameter of 40–50 miles. Plans for an Inner Ring Road were put forward by Patrick Abercrombie in the 1940s, the route is signed as Ring Road and is made up of the following roads, A100 A1202 A1210/A1211 A201 A202 A302 A3204 A4202 A5 A501. It formed part of the historical New Road, construction of the New Road from Paddington to Islington began in 1756 to relieve congestion in the built-up area of London. At that time the districts of Marylebone and Bloomsbury were on the edge of the city. The New Road ran through the fields to the north of three neighbourhoods. The road is now one of the busiest main roads in the city and it runs from Edgware Road in the west to Angel, in the east. City Road was constructed in 1761 to continue the route eastwards to the edge of the City of London. Pentonville Road runs west to east from Kings Cross to City Road and it acquired its present name in 1857. There are several halls of residence located on Pentonville Road, these being Dinwiddy House, Paul Robeson House, there are two green spaces along the road – Joseph Grimaldi Park and Claremont Square, the latter however is not open to the public. This street is distinguished by the set back housing lines originally intended to provide an atmosphere of spaciousness along the thoroughfare and it is one of the locations on the UK version of the Monopoly board game, which features areas native to London. Pentonville Road is one of the many London placenames mentioned the song Transmetropolitan by The Pogues and it runs from Aldgate southwards to the Tower of London. The northern part, north of the junction with Goodmans Yard and Prescot Street, has one way northbound traffic and it links to Long Lane. Thomas Cubitt was an English master builder in the second quarter of the 19th century who mostly worked in London but carried out several projects in other parts of England. Cubitts first major building was the London Institution in Finsbury Circus, after this he worked primarily on speculative housing at Camden Town and especially at Highbury Park, Stoke Newington. His development of areas of Bloomsbury, including Gordon Square and Tavistock Square, began in 1820, notable amongst this development are the north and west sides of Eaton Square, which exemplify Cubitts style of building and design. 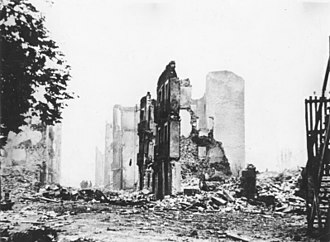 After Cubitts workshops in Thames Bank were destroyed by fire, he remarked Tell the men they shall be at work within a week, Cubitt was responsible for the east front of Buckingham Palace. He built and personally funded nearly a kilometre of the Thames Embankment and he was employed in the large development of Kemp Town in Brighton, and Osborne House on the Isle of Wight, completed in 1851. Cubitts public works included the provision of parks, including being an organiser of the Battersea Park Scheme. The River Thames is a river that flows through southern England, most notably through London. At 215 miles, it is the longest river entirely in England and it flows through Oxford, Henley-on-Thames and Windsor. The lower reaches of the river are called the Tideway, derived from its tidal reach up to Teddington Lock. It rises at Thames Head in Gloucestershire, and flows into the North Sea via the Thames Estuary, the Thames drains the whole of Greater London. Its tidal section, reaching up to Teddington Lock, includes most of its London stretch and has a rise, in Scotland, the Tay achieves more than double the average discharge from a drainage basin that is 60% smaller. Along its course are 45 navigation locks with accompanying weirs and its catchment area covers a large part of South Eastern and a small part of Western England and the river is fed by 38 named tributaries. The river contains over 80 islands, in 2010, the Thames won the largest environmental award in the world – the $350,000 International Riverprize. The Thames, from Middle English Temese, is derived from the Brittonic Celtic name for the river, recorded in Latin as Tamesis and yielding modern Welsh Tafwys Thames. 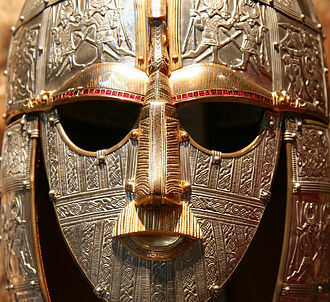 It has suggested that it is not of Celtic origin. A place by the river, rather than the river itself, indirect evidence for the antiquity of the name Thames is provided by a Roman potsherd found at Oxford, bearing the inscription Tamesubugus fecit. It is believed that Tamesubugus name was derived from that of the river, tamese was referred to as a place, not a river in the Ravenna Cosmography. The rivers name has always pronounced with a simple t /t/, the Middle English spelling was typically Temese. A similar spelling from 1210, Tamisiam, is found in the Magna Carta, the Thames through Oxford is sometimes called the Isis. Ordnance Survey maps still label the Thames as River Thames or Isis down to Dorchester, richard Coates suggests that while the river was as a whole called the Thames, part of it, where it was too wide to ford, was called *lowonida. 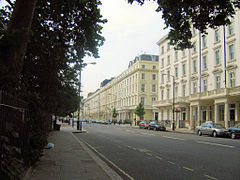 Belgravia is a district in West London in the City of Westminster and the Royal Borough of Kensington and Chelsea. It is noted for its very expensive residential properties and is one of the wealthiest districts in the world, much of it, known as the Grosvenor Estate, is still owned by a family property company, the Duke of Westminsters Grosvenor Group. The area takes its name one of the Dukes subsidiary titles. Owing to the Leasehold Reform Act 1967, the estate has been forced to sell many freeholds to its erstwhile tenants, the area takes its name from one of the Duke of Westminsters subsidiary titles, Viscount Belgrave. The village of Belgrave, Cheshire is two miles from the Grosvenor familys main seat of Eaton Hall. Most of the area was owned by Richard Grosvenor, 2nd Marquess of Westminster. Thomas Cubitt was the main contractor, Belgravia is characterised by grand terraces of white stucco houses, and is focused on Belgrave Square and Eaton Square. It was one of Londons most fashionable residential districts from its beginnings, fashion design houses that have their retail flagship stores and studios within the area include Philip Treacy, Donna Ida, Jenny Packham and HEMYCA. On the southern edge of Belgravia is Pimlico Road, renowned for its antique shops and high-end furniture. It is a quiet district in the heart of London, contrasting with neighbouring districts. 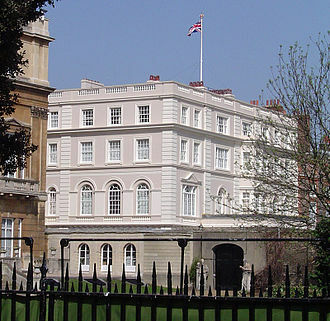 Many embassies are located in the area, especially in Belgrave Square and this phenomenon has diminished social relations in the neighbourhood. Belgrave Square, one of the grandest and largest 19th century squares, is the centrepiece of Belgravia and it was laid out by the property contractor Thomas Cubitt for the 2nd Earl Grosvenor, to be the 1st Marquess of Westminster, in the 1820s. Most of the houses were occupied by 1840, the numbering is anti-clockwise from the north, NW terrace Nos.1 to 11, west corner mansion No. 12, SW terrace 13–23, south corner mansion No,24, SE terrace Nos. 25–36, east corner mansion No. There is a detached house at the northern corner. 49, which was built in by Cubitt for Sidney Herbert in 1851, the terraces were designed by George Basevi and are possibly the grandest houses ever built in London on a speculative basis. Carved whale bone whistle dated 1821. 8 cm long. Belonged to a 'Peeler' in the Metropolitan Police Service in London in the early 19th century. Metropolitan Police officers talk to a seated woman, July 1976. Two Metropolitan Police officers overseeing an event at Trafalgar Square. London Fire Brigade headquarters from 1937 to 2007, in Lambeth. The LFB's current headquarters since 2007, in Southwark. The former Royal College of Psychiatrists, Belgrave Square. Victoria Station in 1897, showing the separate Brighton (left) and Chatham (right) stations. The approaches to Victoria Station in 1912. The line leading to the station is top right, the 'Brighton line' (shown in green) is bottom left and the 'Chatham line' (pink) bottom right. The connection to the GWR and LNWR (purple) is top left. Strict Nature reserve Belianske Tatras in Slovakia. Black Opal Spring in Yellowstone National Park in the United States. Yellowstone, the world's second official protected area (after Mongolia's Bogd Khan Mountain), was declared a protected area in 1872, and it encompasses areas which are classified as both a National Park (Category II) and a Habitat Management Area (Category IV). Schweizerischer National Park in the Swiss Alps is a Strict Nature Reserve (Category Ia). The Jaldapara National Park in West Bengal, India is a Habitat Management Area (Category IV). Vivekananda in Chicago, September 1893. 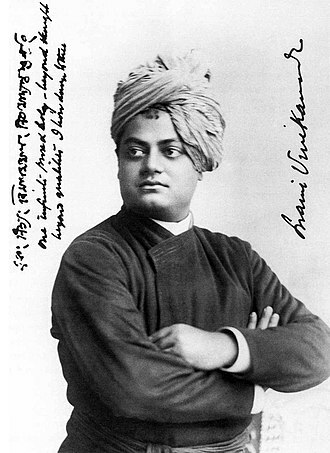 On the left, Vivekananda wrote: "one infinite pure and holy – beyond thought beyond qualities I bow down to thee". A traditional Kikuyu house similar to that in which Kenyatta would have lived in Nginda. Kenyatta lobbied against many of the actions of Edward Grigg, Governor of Kenya; in turn, Grigg tried to suppress many of Kenyatta's activities. Tanzanian children with signs demanding Kenyatta's release in March 1961. Millbank Tower from Vauxhall, with Thames House and the Palace of Westminster visible in the background. The London Italian Embassy is in Mayfair. View along the public gardens and the church in the same square, in the background. Statue of Thomas Cubitt by William Fawke, 1995. Denbigh Street, London. The twin to this statue is in Dorking, Surrey. Despite the fact that the canal goes nowhere, a new bridge over the lock is an operational swing bridge.